Host-It Review 2019: Is Host-It a Good Hosting? ISO 27001 certified hosting provider Host-it has been in business since the early days of the world wide web. It owns and operates its own U.K. data centers. Host-it has been in business since the early days of the world wide web (1995), since when it has grown substantially through acquisitions. Together with parent company Nuco Technologies, Host-it now offers a wide range of services including virtual hosting, dedicated servers, network support and rack space, colocation, web development, and connectivity solutions. Host-it owns and operates its own data centers in the U.K., so understandably, its website is in English. But as is common with hosting providers, the purchase pages and client area can be switched into 25 additional languages. Host-it offers two types of virtual hosting plans: Home User Plans and Business Hosting Plans. 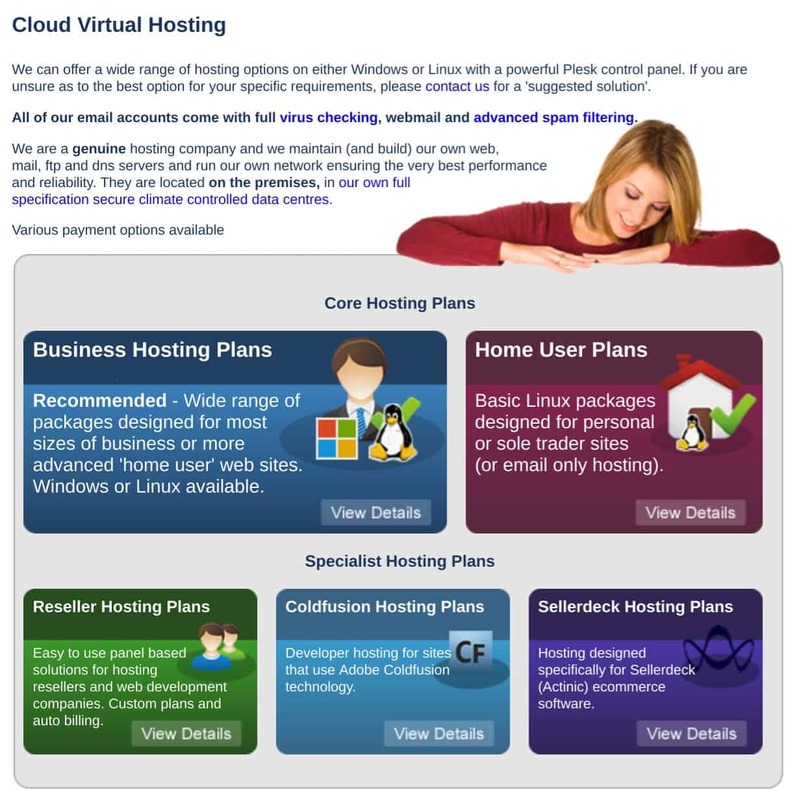 The Home User Plans are ideal for personal static sites or email-only hosting. If you already have a domain name and just need a professional email address, the Email Only plan (with 2 GB monthly bandwidth and three POP3/IMAP mailboxes) should suffice. For more disk space, bandwidth, FTP accounts, and mailboxes, you should go for the Home Budget or Home Standard plan. The Business Hosting Plans are better if you need more disk space, bandwidth, and additional resources, and this provider also offers several database options (MySQL/MS SQL/Microsoft Access) and developer tools (Adobe ColdFusion, Adobe Dreamweaver, and ASP/ASP.NET). Reseller hosting plans and specialist hosting (e.g., for ColdFusion, Sellerdeck, Magento, and WordPress) top off Host-it’s hosting offerings. This provider’s SLA guarantees 100% network uptime for customers of its Gold virtual hosting plans (and above) and its Silver VDS/VPS plans (and above). Host-it’s virtual hosting plans are priced competitively, and you can pay for them using credit cards (one-off or regular payments) via PayPal, Sage Pay, or other methods including GoCardless direct debit. Host-it offers billing cycles from monthly to triennially, with a 30-day money-back guarantee so that you don’t need to worry too much about making a long-term commitment. Host-it has one of the best sets of self-help tutorials I have seen, so you should be all set if you want to try supporting yourself. If you’re looking for a reliable hosting company with more than 23 years of industry experience to host your website, then you’re in pretty safe hands if you let Host-it host it. 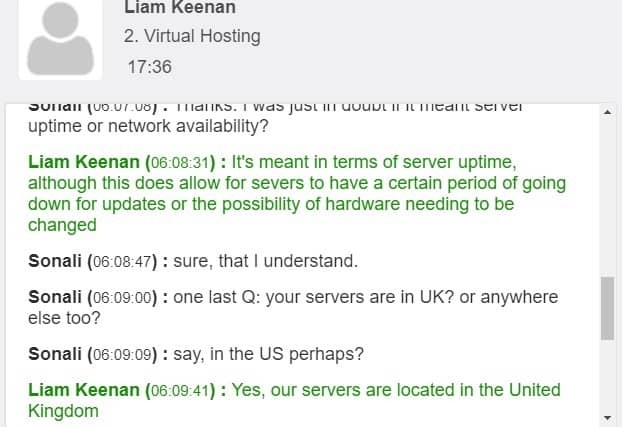 For U.K. hosting that’s more than O.K., try Host-it. Wondering how Host-It stacks up against other Web Hosting companies? Enter any other Web Hosting company and we will give you a side-by-side comparison.